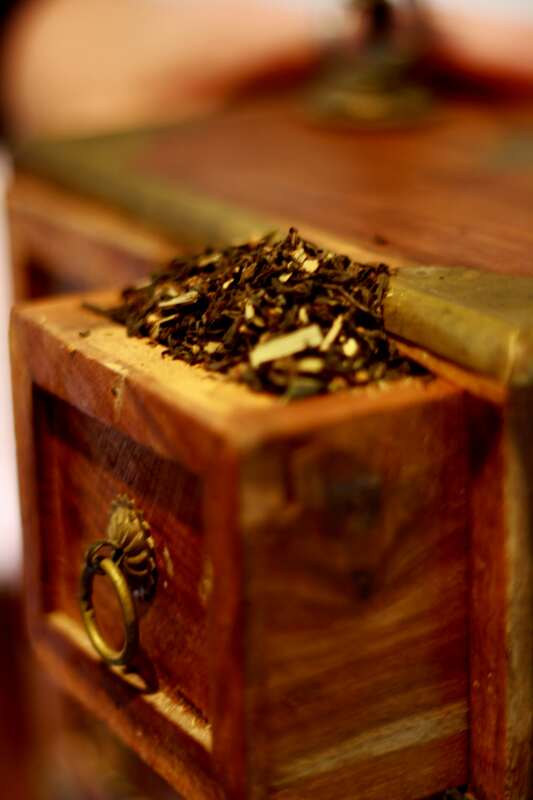 The 20 Health Benefits of Tea: 1686 style. Thomas Povey was a 17th century man about town that history seems to recall as titled, incompetent, rich and powerful, and not surprisingly, a British Member of Parliament. He seems to have done well under both Cromwell and the restored King Charles II, and he was on the spot when tea was becoming big in London in the mid/late 17th century. He is remembered for a bunch of lawsuits and bunfights, but also for a list he translated from Chinese explaining the health benefits of tea. Today we celebrate Povey’s list. With some additional commentary from me. 1. It purifyes the Bloud of that which is grosse and Heavy. Getting all those gross, heavy things out of your blood is a really good idea. You don’t want lumpy blood. 2. It Vanquisheth heavy Dreames. Heavy dreams are like, heavy, man, as they said in the 60s. The 1660s. And we don’t want that. Safely vanquished, thanks to tea. 3. It Easeth the brain of heavy Damps. Tea drinkers will be light as a feather once all this heaviness is easethed. And nobody needs a damp brain. A clear, dry untroubled head can be achieved, it seems. Dropsy is basically accumulated fluid in body cavities. Do you want that? Well, do you? No, you don’t! Good ol’ tea to the rescue again. Tip top, empty cavities are only a swift cup of Lord Petersham away. 6. Drieth Moist humours in the Head. There’s nothing funny about moist humours in your head. We’ve already set our goal for a head untroubled by moisture, so this has to help. Problem Solveth. Fantastic. It doesn’t explain whether the obstruction is a polyp on your bowel, a distended tonsil, an overly ambitious supervisor at work or a rolled-over truck on the highway, but tea will no doubt fix them all. Throwing away my glasses now. Where did you all go? 10. Clenseth and Purifieth adults humours and a hot Liver. Humour can be downright dirty, we know that, but a quick mug and you’ll be telling nice grandmother-friendly jokes about kittens and squirrels whilst your liver cools. 11. Purifieth defects of the Bladder and Kiddneys. I think we all know that after a few cups of tea, the bladder and kidneys are up for a spot of purification. Sleep is wasteful enough, but Superfluous sleep? It’s enough to drive Jon Bon Jovi mad. Luckily, it’s about to get vanquished, and vanquished hard. 13. Drives away dissiness, makes one Nimble and Valient. Even though I chose not to be a professional ballet dancer, I feel great knowing that the next time my nimbleness or valour is required, I won’t be sidetracked by dissiness. 14. Encourageth the heart and Drives away feare. Fear can’t stand up to tea. We all know that. 15. Drives away all Paines of the Collick which proceed from Wind. I think we know what he means here. The 16th century diet was quite robust, unlike what we eat these days. On second thoughts, scratch that, and order a tea with your cheeseburger and fries. 16. Strengthens the Inward parts and Prevents Consumptions. It’s great to have really strong inward parts. In this case probably the lungs as ‘consumption’ is tuberculosis. If only medical science had known! It really does. Tea drinkers have usually memorised pi to more decimal places than non-tea drinkers according to a scientific study I conducted using myself and a cat as subjects. The cat had little memory, and also did not drink tea. I was going to use goldfish, but they kept forgetting to fill in the form. 18. Sharpens the Will and Quickens the Understanding. Stands to reason, doesn’t it? If you have a better memory a la point 17, you’re not going to go all vague at times when you need to be on the ball. 19. Purgeth Safely the Gaul. I know enough history to know that Gaul was the Roman name for France, Belgium, Luxembourg and a few other European hot spots of miscreants. So it appears once you’ve imbibed your Earl Grey, you can safely remove Frenchmen. This is a bonus, although my friend @xavier may not agree. Some historians believe this relates to the gall bladder, not the French, but where’s the fun in that? 20. Strengthens the use of due benevolence. Well, isn’t that just the best. We get to be all benevolent, and show great tolerance for every thing and everyone, except moist brains, heavy stuff and Gauls. So there you have it. That’s all you need to know! *This is List 3 of “Lord Devotea’s List Week” a spectacular week of lists that will be spread over the Beasts of Brewdom and Lord Devotea’s Tea Spouts blog. Over their lifetime, most people in Western countries will suffer from coffee at some time. It’s a debilitating condition, and as we swill the last of our Darjeeling FTGFOP1, it’s important that we put aside this special day to think about those less fortunate than ourselves. So, it’s time to do your bit. Make tea for your friends, your family. Remember, every cup of tea you make someone removes the threat of coffee for between 30 minutes and 2 hours. Let’s hope in the future, we don’t have to have an International Coffee Day, because it is but a distant memory, like smallpox or Hall & Oates. Even if our memory has been enhanced by drinking at least 4 cups of tea every day. And share this post, so we can get the message out there. I just had a guest post published on Tea health Studies. As part of the deal, I told them they should have all the Beasts do a post for them. Poor bastards. I had a bit of thinking about where this post needed to go. Not on my tea blog, as even a master of tea placement like myself can’t pretend it’s about tea. In fact, tea will only turn up once within this story. I’ll mark it with an asterisk so you don’t miss it. Not on my Muses and Rants blog, because I’ve used that about once in the last two years, and it doesn’t really fit. So Beasts of Brewdom it is: and to be fair it contains manly stuff, a little brewed beverage and bangs on about social media, which is after all how Beasts of Brewdom was invented. So, within the social media sphere I have somewhat of a profile, and for the most part, that is all thanks to my relentless blogging and my highly abusive tweets. It also helps that I am connected to some really well known tea bloggers and a few others. So, the ratings site Klout has me in the middle of the pack. This turns out to be quite useful. You may remember years ago I mentioned that a company had sent me a pile of Japanese tea at one time to review. It included genmaicha, which I have no idea what to do with, as I don’t own a horse. So we took all the Japanese teas and turned them into bath bombs with varying degrees of success. At the time, I pointed out in my blog that with a little research, they never would have been daft enough to send me that tea. Enter Dollar Shave Club, who have decided to send me some razors. The selection process seems to be that I have a reasonable Klout score, live in Australia and am male. Pretty reasonable odds that the product might be useful. Sure, I might have a religious ban on shaving, have alopecia or be 11 years old, but happily, none of those are true. After treating me to an excellent and hilarious video, these guys duly sent the razors which arrived yesterday. So this morning, I put down my cup of Lord Petersham * and put blade to face. Well before trying the razors, I had shared the video on Facebook and Twitter. It’s hilarious. So these guys had already won. It’s cost them a few free razors. The funny thing is, I heard the guy from Dollar Shave Club on the radio a year ago, and was impressed by what he had to say. After he finished, a guy who claimed he used to work for Gilette rang the station, and said that that company made so much money from replacement razors that they referred to the factory that makes the replacements as “the mint”. I decide then and there to sign up. But I was in the car at the time, and the information had dribbled out of my brain within a few minutes. So, back to my face. A few pumps of shaving oil on my three-day growth, and out with the razor. It was f***ing great, to quote their slogan. The handle was really comfortable, the 4 blades did the trick, and the idea that I get a new one each week is really attractive. Normally, I make the last one last, if you know what I mean. So, why blog about it? Because this is the future. This is smart, product-driven, niche marketing. And non-religeously-beardy, non-alopecian adult Australian males is a sizable niche. They engaged me with humour and flattery, backed it up with a great product and a unique delivery method and they won. So why blog about it? Why not just use the free razors and quietly get on with life. The reason is simple: a few years from now when half the products in the world are sold like this, I can smugly point to this and say: I saw this coming. After all, I am moderately influential. Australian. Male. And closely shaved. I’m drinking Rose Blush as I write this. Of course I won’t be reviewing it as it’s one of The Devotea blends: that would be a little self-indulgent. It’s rose and vanilla and black tea. In order to make sure it looks manly enough, I am drinking it black, straight up out of an imperial pint beer mug. It reminds me that there is no tea that is not manly, even if it has a girly description. Skulling it down piping hot from a beer mug is a wonderful feat of macho manliness. Really. There was a time in Las Vegas when three of us men were standing around swigging this stuff. Mr Norman. Mr Giddings. Mr Godden. It was like a scene from Walker Texas Ranger. OK, so the fact that between the three of us we couldn’t open a packet of crisps was a little denting of our pride, but nevertheless, we took this tea on, and came out the other side. Surely not the place for some beastly high jinx, right? Wrong. We sat in the very top corner table, Lady Devotea and I, as our host, @jopj asked the room to introduce themselves. When it got to Verna Hamilton, the tea blogger, @jopj related the story of how they first started talking when Jo was convinced that these two twitter accounts – @the_devotea and @lahikmajoe were the same person. Both Ken and I tormented Jo over these comments on twitter for some time. Everyone in the room had a good laugh. I’d forgotten about it. A few minutes later it was my turn to introduce myself. I got up and said “I’m Ken MacBeth Knowles”. Two beasts were on hand to witness a man with a bandsaw cutting slices from a log of basket-aged tea. Someone has a picture, surely? As a user of Empire Avenue, one has to occasionally put weird codes into blogs to keep them happy. This is one such occasion. Beast of Brewdom is an occasional blog where one of us has something to say that is just outside the loose bounds of good taste even for our own blogs. But in a week, two beasts will meet in Las Vegas. The world survived the last time that happened. Will it make it through this one?